– Green Bay beat Minnesota, 24-10, tonight at Lambeau Field to advance to the NFC Divisional round of the playoffs for the third consecutive season. – The Packers are the only NFC team to advance to three straight NFC Divisional games from 2010-12. The last time Green Bay advanced to the divisional round in three or more consecutive seasons was five straight from 1993-97. – With the victory, the Packers improve to 30-17 all-time in the postseason, a .638 winning percentage that ranks No. 1 in league history. Green Bay moved into sole possession of the No. 3 spot for the most playoff wins with 28, trailing only the N.Y. Giants (31) and Dallas Cowboys (30). 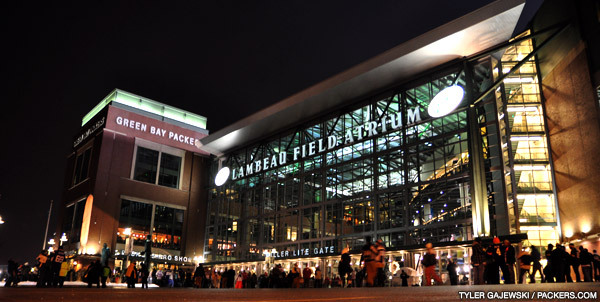 – Including playoffs, the Packers have now won 10 straight games at home against NFC North opponents. – The 10 points allowed by the Packers were the fewest in a postseason game since they gave up 10 points at San Francisco on Jan. 11, 1998. – Green Bay will travel to San Francisco next Saturday night to take on the 49ers at Candlestick Park at 7 p.m. (CST). – Tonight’s paid attendance was 71,548. It was the 311th consecutive sellout (293 regular season, 18 playoffs) at Lambeau Field and the fourth-largest crowd in Lambeau Field history. – With the victory on Saturday night, Head Coach Mike McCarthy improved his postseason record to 6-3. His .667 winning percentage ranks No. 2 in team history among Green Bay head coaches behind only Vince Lombardi (9-1, .900). – QB Aaron Rodgers posted a 104.9 passer rating on Saturday night (23 of 33, 274 yards, one TD), the fifth time he has registered a 100-plus passer rating in seven career postseason starts. – Rodgers did not thrown an interception for the fifth straight game. He has not thrown an interception in 177 consecutive passing attempts. – FB John Kuhn is the only player in the NFL to score a touchdown in each of the last four postseasons (2009-12). Kuhn joined RB Dorsey Levens (five straight, 1994-98) and WR Antonio Freeman (1995-98) as the only players in team history to score a TD in four or more consecutive postseasons. – Kuhn also became the first player in franchise history to post a rushing TD and a receiving TD in two different postseason games. He also did so at Atlanta on Jan. 15, 2011. – LB Clay Matthews matched is postseason career high (at Atlanta, Jan. 15, 2011) with two sacks as he joined DE Reggie White as the only players in franchise playoff history to register two-plus sacks in two games. Matthews brought his career postseason sack total to 6.5, second only to White (8.0) in franchise playoff history. – CB Sam Shields posted his third career interception in the postseason, which is tied for No. 4 in team history. – K Mason Crosby’s 20-yard field goal in the second quarter was his sixth consecutive made field goal in the postseason, a franchise playoff record. It bested the mark of five straight by Don Chandler in 1965 and Chris Jacke in 1996. – The Packers allowed the Vikings to complete just 11 passes, the fewest given up by Green Bay a playoff game since it allowed seven completions at Washington on Dec. 24, 1972. – Green Bay held Vikings RB Adrian Peterson (99 yards) to less than 100 yards rushing for just the second time in the Vikings’ last 11 games (86 yards at Houston in Week 16). (on how the team was able to change the outcome from last week’s game against Minnesota) “Schematically I don’t think we did much differently than last week. We obviously made a few adjustments based on what they showed us last week and the success they had. Ultimately, the effort was there last week, our intensity… We just played a little more disciplined.. 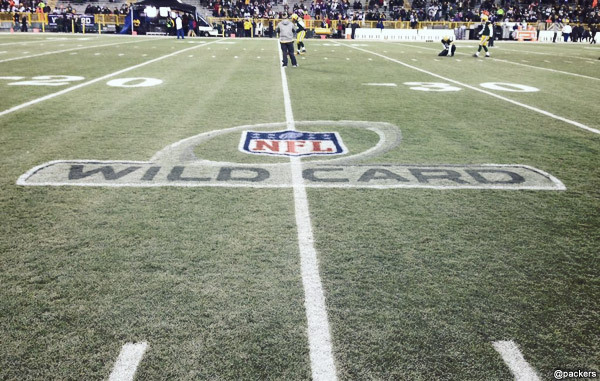 Check out these behind-the-scenes photos from Saturday evening’s Wild Card playoff game between the Green Bay Packers and the Minnesota Vikings at Lambeau Field. The following players have been declared as inactive for today’s Green Bay Packers-Minnesota Vikings Wild Card playoff game at Lambeau Field. Starting lineup changes: On offense, #26 DuJuan Harris will start in place of #20 Alex Green at running back. Starting lineup changes: On offense, #14 Joe Webb will start in place of #7 Christian Ponder at quarterback. – NBC Sports will broadcast the game to a national audience. Play-by-play man Al Michaels joins color commentator Cris Collinsworth in the booth with Michele Tafoya reporting from the sidelines. – Milwaukee’s WTMJ (620 AM), airing Green Bay games since 1929, heads up the 53-station Packers Radio Network, with Wayne Larrivee (play-by-play) and two-time Packers Pro Bowler Larry McCarren (analyst) calling the action. The duo enters its 14th season of broadcasts together across the Packers Radio Network, which covers 44 markets in six states. – Dial Global Sports radio will air the game across the country. Kevin Harlan (play-by-play) and Dan Fouts (analyst) will call the action with Mark Malone reporting from the sidelines. Scott Graham hosts pregame and halftime shows. Minnesota Vikings Head Coach Leslie Frazier and RB Adrian Peterson were made available to the media via conference call Tuesday. To listen to Frazier and Peterson talk about Saturday’s NFC Wild Card playoff game in Green Bay, click on the links below. Game notes: Crosby’s troubles over? Look through the lens of team photographer Jim Biever. Check out photos from Sunday’s Packers-Vikings game at Lambeau Field. Aaron Rodgers and the Green Bay Packers celebrate the quarterback’s 29th birthday in style, knocking off the Minnesota Vikings 23-14. Green Bay Packers wide receiver Greg Jennings met with reporters following the team’s 23-14 victory over the Minnesota Vikings. Check out the Sights & Sounds from Sunday’s Packers-Vikings game at Lambeau Field. 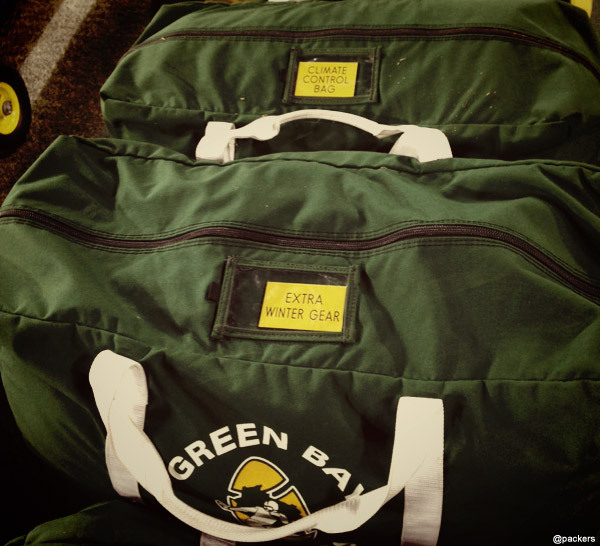 Check out these behind-the-scenes photos from Lambeau Field. The Green Bay Packers face the Minnesota Vikings in a Week 13 NFC North showdown. In this edition of ‘Under the Cap,’ packers.com’s Larry McCarren sits down with Green Bay Packers linebacker Erik Walden. Read Packers.com’s gameday chat with Vic Ketchman and Mike Spofford. Download the latest wallpapers from Week 13’s Packers-Vikings game. The Packers and Bears are tied for first place in the NFC North, two games ahead of the Vikings (6-6). – Green Bay beat Minnesota, 23-14, today at Lambeau Field to improve to 8-4 on the season. With Chicago’s loss to Seattle on Sunday afternoon, the Packers and Bears are tied for first place in the NFC North, two games ahead of the Vikings (6-6). – With the victory on Sunday, the Packers extended their franchise-record divisional winning streak to 10 games. – Green Bay has won five consecutive games against the Vikings, the longest streak vs. Minnesota since a five-game one from 2006-08. – The Packers have won 18 of their last 19 regular-season games (.947) at Lambeau Field and 24 of their last 26 contests (.923) at home. – Green Bay will stay home for another NFC North contest when it hosts the Detroit Lions next Sunday night at Lambeau Field in a nationally televised game (7:20 p.m. CST). – Today’s paid attendance was 70,567. 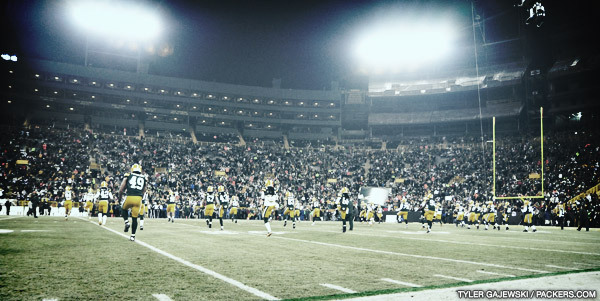 It was the 308th consecutive sellout (291 regular season, 17 playoffs) at Lambeau Field. – QB Aaron Rodgers threw a TD pass in his 35th consecutive regular-season game at home, further extending his franchise record. It is the longest in the NFL since Dolphins QB Dan Marino’s 39-game streak from 1983-88. 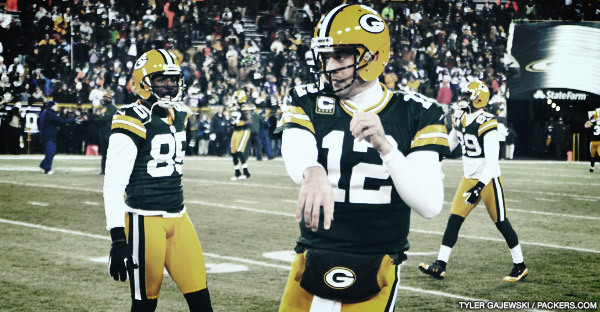 – Rodgers went over the 3,000-yard passing mark for the season, his fifth straight 3,000-yard season (2008-12). – S Morgan Burnett matched his single-game career high (at Chicago, Sept. 25, 2011) with two interceptions. – C Jeff Saturday made his 200th career NFL start. – P Tim Masthay placed his 27th punt inside the 20 this season, the third most in a season in franchise history (since 1976) behind only Sean Landeta (30 in 1998) and Craig Hentrich (28 in 1996). – With a plus-one turnover ratio, the Packers have now won the takeaway battle or come out even in 27 of their last 30 regular-season games. – Green Bay’s 38:30 time of possession was the team’s top mark since a 40:48 time of possession at New England on Dec. 19, 2010. 2008 Packers FAN Hall of Fame inductee Allan Hale in his post as a vendor at Lambeau Field. Hale is in the midst of his 50th season as a beer vendor in Lambeau Field’s section 119. Packers fans dressed up as…abominable snowmen? The following players have been declared as inactive for today’s Green Bay Packers-Minnesota Vikings game at Lambeau Field. Packers WR Greg Jennings is back in the lineup for the first time since Week 4. Jennings had missed time since that contest with a groin/abdomen injury. Starting lineup changes: On defense, #99 Jerel Worthy will start in place of #98 C.J. Wilson at right defensive end. #54 Dezman Moses will start in place of #52 Clay Matthews at right outside linebacker. #31 Davon House will start at right cornerback in place of #37 Sam Shields. Packers.com writers Vic Ketchman and Mike Spofford are chatting with fans about Sunday’s Packers-Vikings game. The chat is running from now until the end of the game. Join here.